The Designs Are Perfect for Pillows, Tote Bags and More! Applique one (or more!) of these darling motifs onto tea towels, or anything else you can think of. Each one will be pretty on a pillow, as a quilt block, on a tote bag, a place mat, a sweatshirt … well, you get the idea. 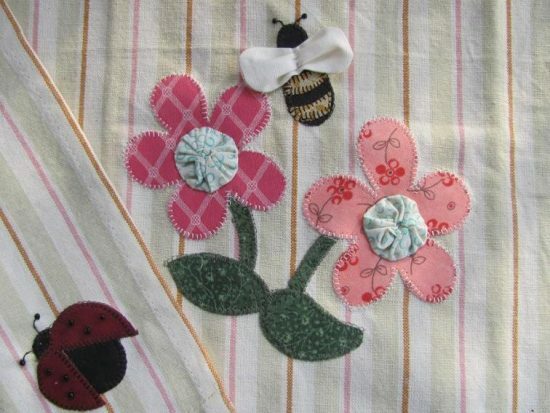 Let your imagination go and dig into your scraps for fun fabrics to use in making each one. 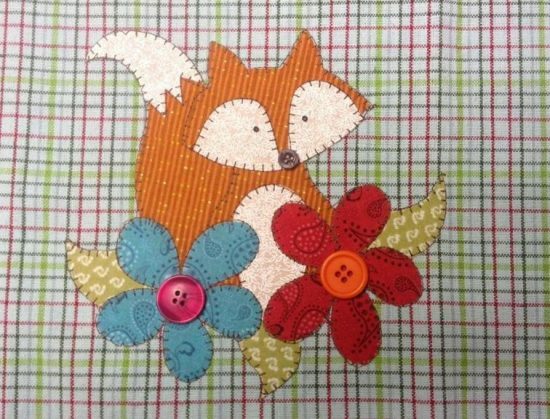 Your chosen design will go together quickly with easy fusible applique. 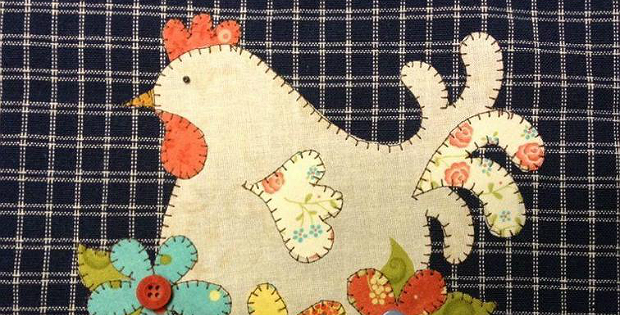 The patterns, from Quilt Doodle Designs, include instructions for tea towels. Sizes are not included for all of the designs but they appear to be close in size. 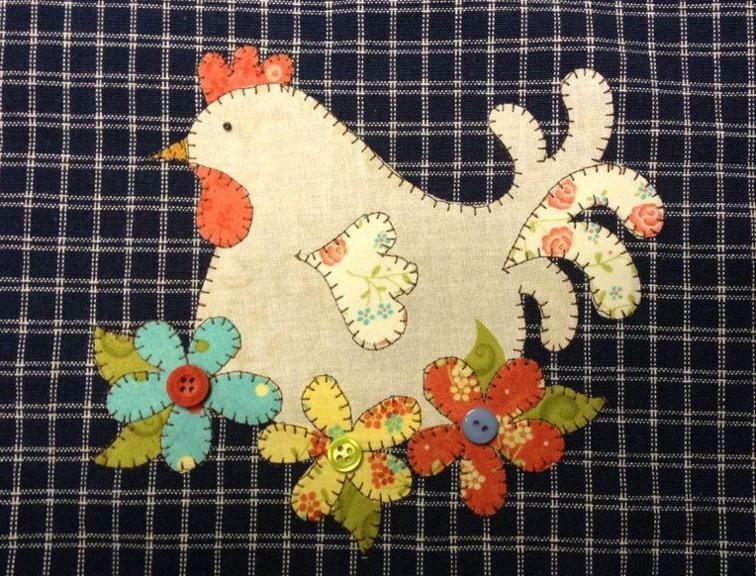 Click here to purchase the “Hen Applique” pattern. The fox design is 8″ x 9″. Click here to purchase the “Garden Visitor, a Cute Little Fox” applique pattern. The design area for the flowers is 7″ x 7″. Click here to purchase the “Spring Bloom” applique pattern. The fun Garden Gnome is 8″ x 9″. 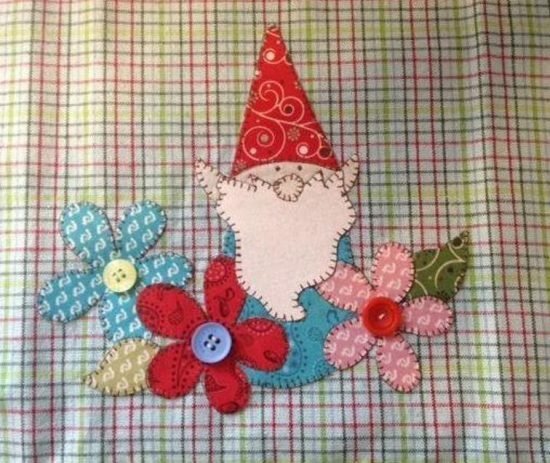 Click here to purchase the “Garden Gnome” applique pattern. 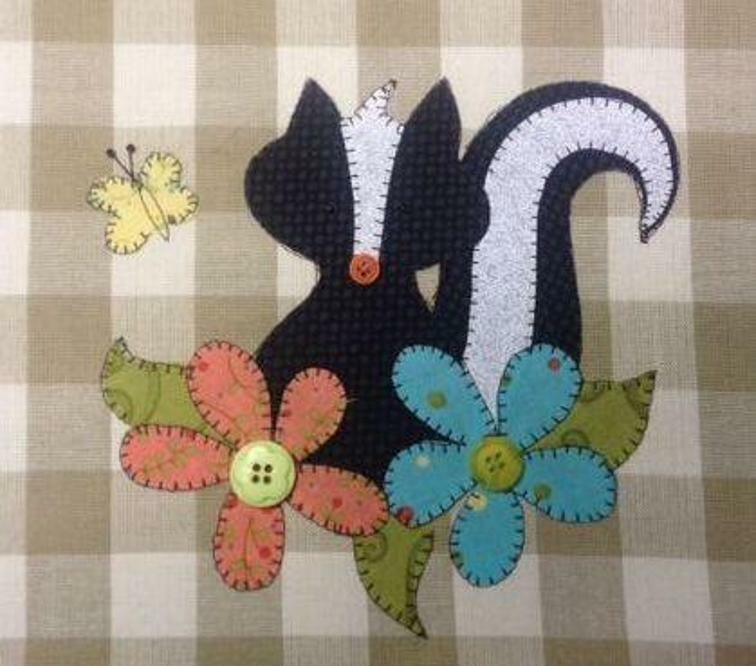 Click here to purchase the “Lil’ Stinker” applique pattern.